South Bank has plenty of picturesque picnic areas which are open to the public all year round. Spaces are surrounded by shady trees, have stunning views of the Brisbane River and city skyline, and are in close access to Brisbane’s cultural facilities. Street and Garden had the pleasure of working in close collaboration with Gamble McKinnon Green to design a product that is truly unique and enhances the experience of visiting South Bank. The Liana is a long-stemmed woody vine which is rooted at ground level relying on surrounding structures for support. Following this, the Liana Lounge concept binds a sinuous HDPE clad steel structure to a precast concrete host. 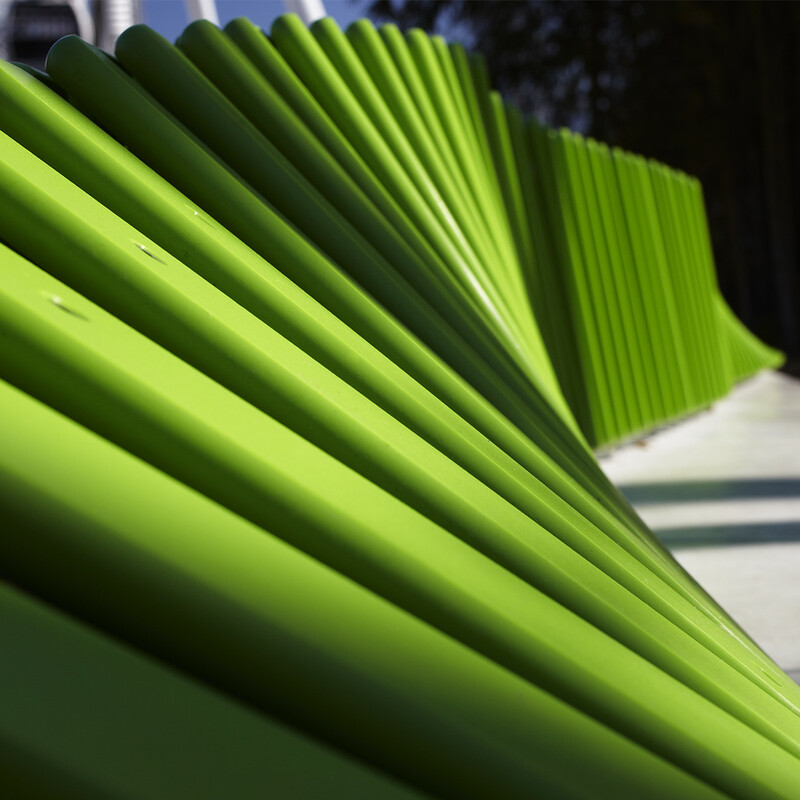 The green HDPE vine winds its way across the concrete, creating a vast array of resting positions, encouraging exploration and play. The precasting includes water-shedding details and accommodates LED lighting; transforming the structures by night. Given the prominent and high profile site set amongst the world renowned South Bank public space, Street and Garden saw this project as an opportunity to explore the notion of ‘functional art’. 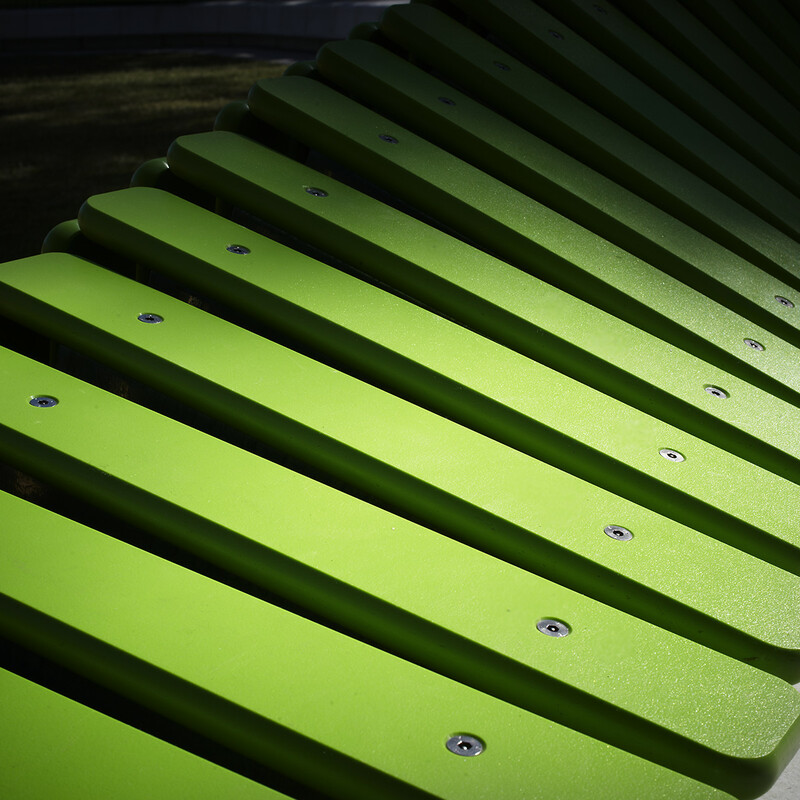 The product is very sculptural in its form and is therefore open to interpretation by the user as to how they engage with the product; be it, sitting on, lounging together, climbing over, or jumping off. 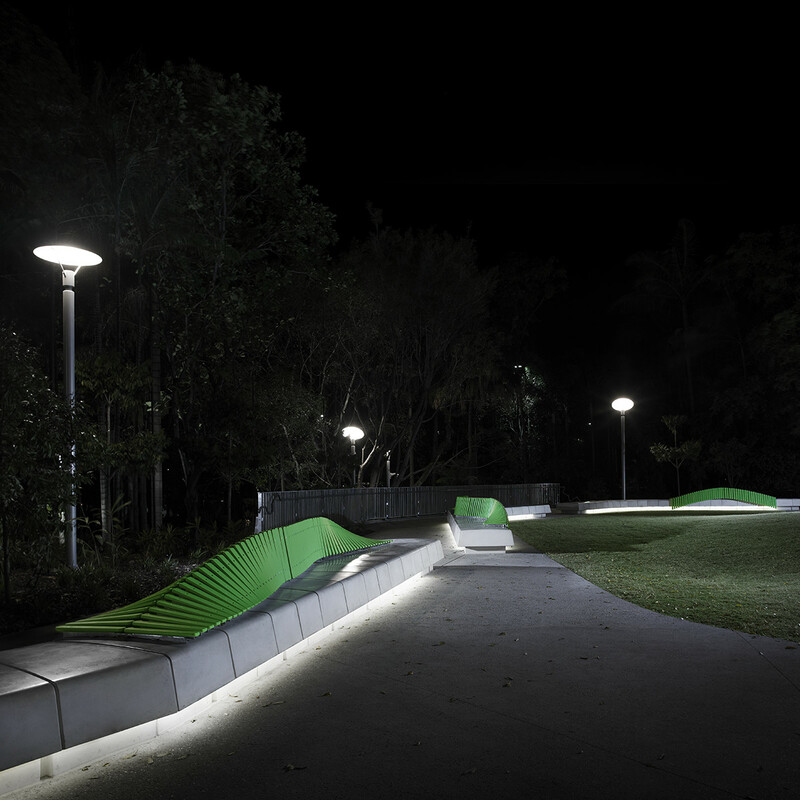 South Bank Corporation were furthermore provided with a recognisable and memorable addition to their landscape, which is extensively used and enjoyed by those attending the precinct.